Who needs Glastonbury if Yorkshire's got Galtres? 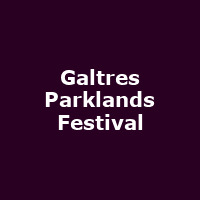 Now ten years old, Galtres Parklands Festival is one of the best family festivals in the country. Combining seven stages of music and cabaret, more than 100 fine beers and ciders all from Yorkshire and all set in a beautiful rural setting overlooking the North York Moors. The 2014 event featured Tricky, Morcheeba, Levellers, The Human League, Bellowhead, Public Service Broadcasting, Beth McCarthy, Chris Helme, Beans on Toast, Martin Stephenson and many more.